The controversial mayor of Philippines' Tanauan City has been killed by a sniper, the city's police chief said. Mayor Antonio Halili, who gained notoriety for parading people arrested on drug offenses, was killed with a single shot to the chest from an unknown assailant, Police Superintendent Renato Mercado told CNN. Halili was shot during a flag-raising ceremony in front of Tanauan City Hall shortly after 8 a.m. Monday (8 p.m. Sunday ET), and declared dead at the Reyes Memorial Hospital in the city less that an hour later, attending physician Alexander Carandang said. Police currently do not have any suspects or motives for the killing, but Halili's controversial practice of parading suspects through Tanauan had raised his profile. Those paraded had confessed to drug offenses but had not been formally charged, he told CNN in an interview in 2016. Halili started the contentious policy in 2014 with the help of his 70-strong "anti-crime group," government officials who dressed in all black and patrolled the streets, some armed with their own guns. He came to prominence in a zero-tolerance climate for drug offenses in the country, led by President Rodrigo Duterte's infamous war on drugs, which has seen thousands of suspected drug users and dealers gunned down by police and vigilantes. 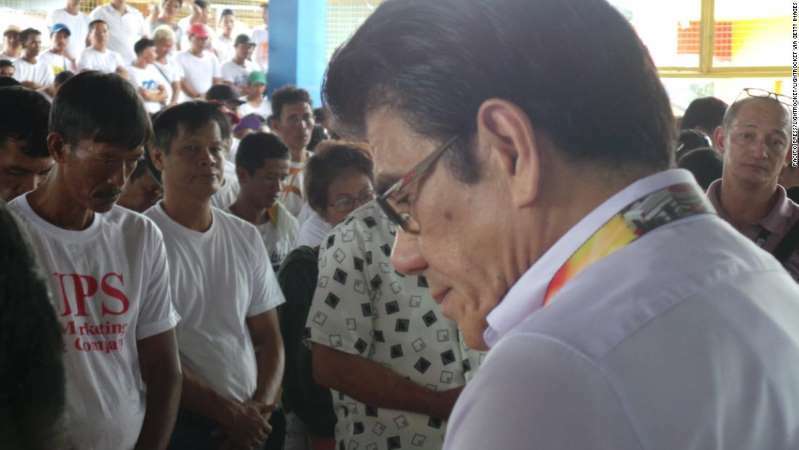 Halili identified strongly with the controversial leader -- "They call me the 'Duterte of Batangas,'" he told CNN in 2016, referring to the province in which Tanauan is located -- and said he was a proud supporter of Duterte and his controversial policies.